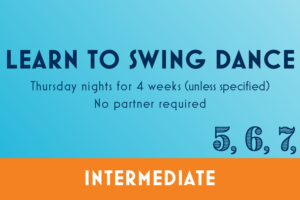 Come join us at Madison Circus Space for swing dancing on a spacious floor. Bring your friends, bring a juggler. $5 donation at the door to pay for venue rental (lesson included). Venue now requires an electronic liability waiver; sign at the registration table or go to MadisonCircusSpace.com and click the link at bottom right. 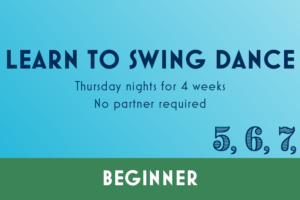 9–9:30pm Beginner Lesson: We’ll show you 6-count swing basics so you can get on the floor and dance right away. No partner or experience required. 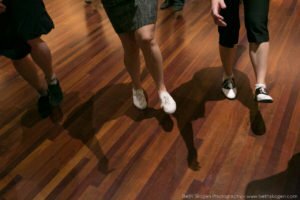 9:30pm–Midnight: Social dancing. Shoes: Everyone must bring another pair of clean shoes. No wearing the same shoes that they wore outside. If people forget to bring a clean pair, we’ll ask them to dance in socks.